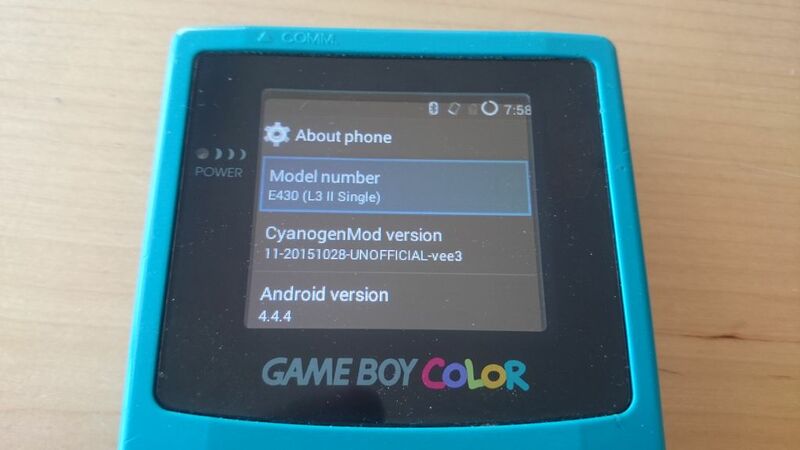 GameDroid: GameBoy Color Modded with LG Smartphone Tech, CyanogenMod « Adafruit Industries – Makers, hackers, artists, designers and engineers! This is a very fun build. 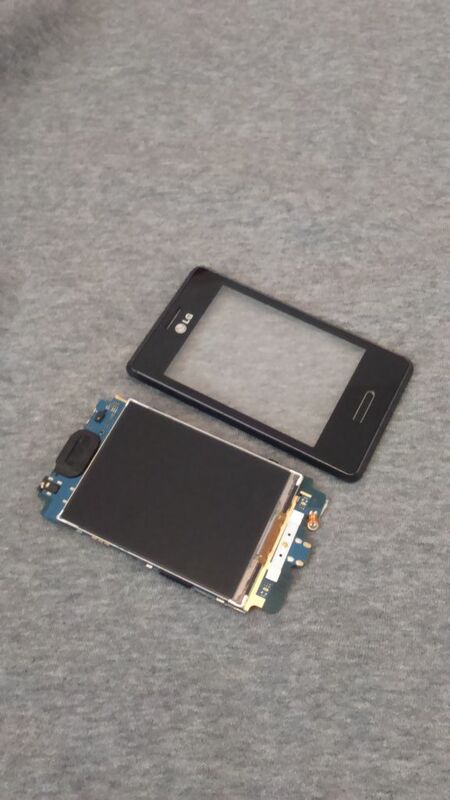 Specific to this model GameBoy and this model LG phone (Optimus L3 II) but still something that could be replicated or modified to suit your phone or portable gaming device. 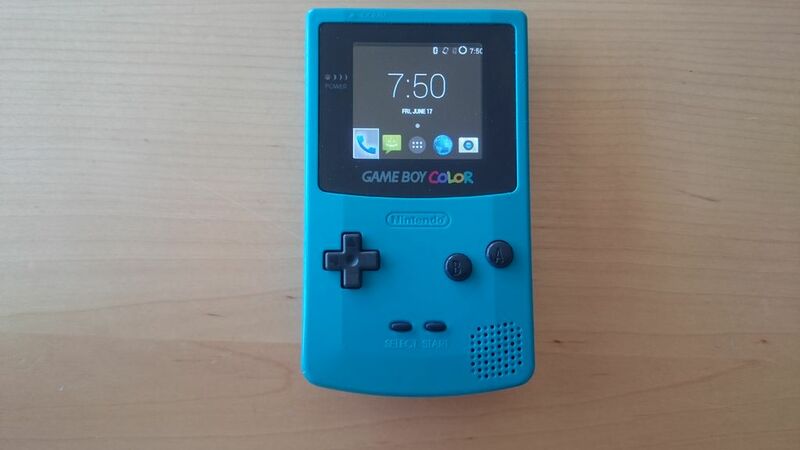 A couple of years ago, I purchased a second hand GameBoy Color from a flea market so I could kill some time. Unfortunately, I hadn’t thought about buying cartridges for it, so I started looking up how much a GameBoy flash cart which could store various games at once would cost. 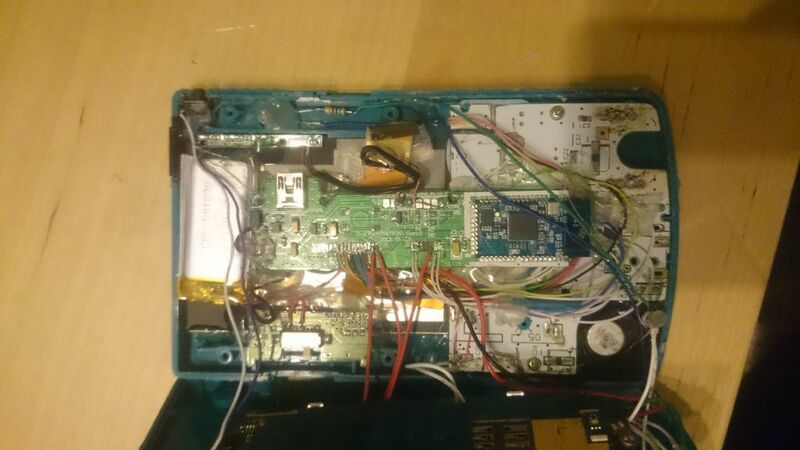 After some time, I came to the conclusion that they all had an exorbitant price tag (for me at least), but while searching I had been introduced to the world of GameBoy modding. I saw how people added backlights or frontlights to their console, made the Prosound mod, or illuminated it from the inside. 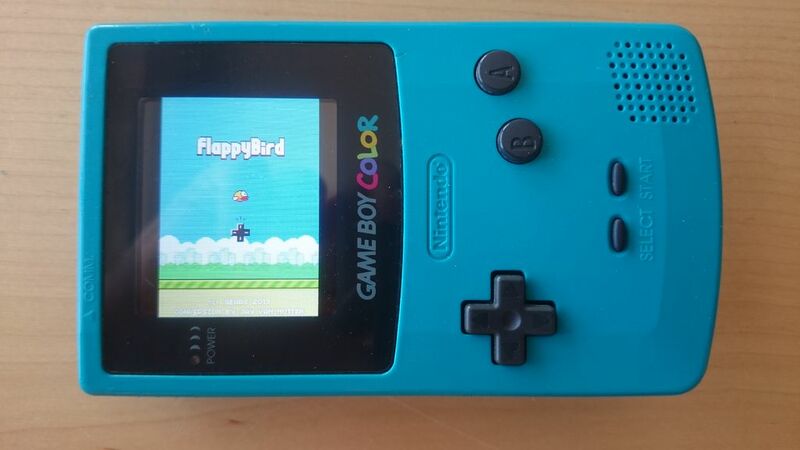 It all seemed really cool to me – that is, until I stumbled upon Xodustech’s Raspberry Pi GameBoy Pocket. At once, I knew I had to make myself one of those. There was only one problem: I didn’t have a single thing he used in his project. No Raspberry Pi, no display, no Teensy, no nothing. I didn’t even understand half the things that were being explained on his page at the time. 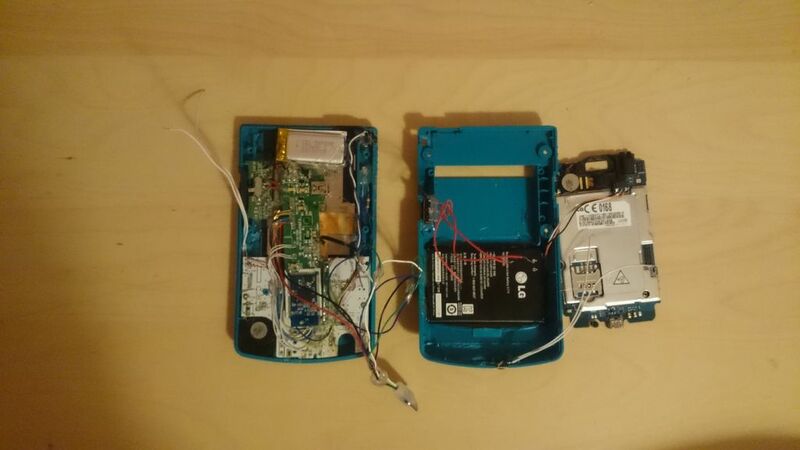 So I looked around my desk to see what else I could possibly shove into that GameBoy, and saw my phone. I briefly considered actually putting it in my GameBoy, but quickly discarded the idea, as it was my phone, and I had nothing else to replace it at the time. Some time later, I eventually got a few Raspberry Pis, a couple different displays, and had accumulated quite a collection of LiPo batteries. However, I never got around to building my dream GameBoy. Then, a week ago, my eyes rested upon a broken GameBoy and my phone, which is no longer my daily driver, and thought “Why not?” So here it is. See the project here on Instructables. Read more GameBoy posts here.